GO BIG! GO BOLD WITH A VEHICLE WRAP! Vehicle wraps grab viewers' attention, capitalize on free advertising space, and create name recognition with every mile traveled. 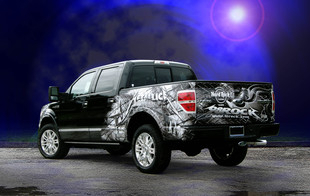 Wrap around car and truck graphics shout over the competition every time. 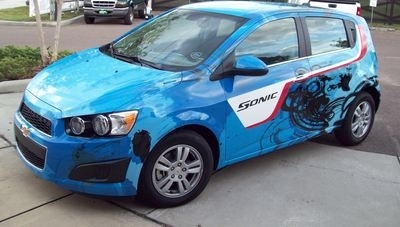 Let Sign-Age of Tampa Bay wrap your entire vehicle with a custom, full-color design. Our design experts can also help you achieve maximum impact on a budget by combining full color graphics with vinyl lettering with a partial wrap on your vehicle. We service the entire Tampa Bay area - Tampa, St. Petersburg, Clearwater and New Port Richey, just to name a few! Sign-Age is one in a small group of companies nationally certified by the PREMIER 3M / UASG Program (United Applications Standard Group) for quality vehicle graphics installation. This allows Sign-Age to provide you the "Total 3M Warranty Solution". We are also PDAA Master Certified.